Park Yuchun is called “lines genius” on the set. Relevant person at the surrounding said that the ability of Park Yoochun to memorize the dialog lines is excellent, he can memorizes quickly and accurately, in a shocking manner. In the last episode, crown prince saw the photo of Yong Tae Yong who looks exactly likes him, and encountered grandmother of Yong Tae Yong, Chairman Yeo (Ban Hyo Jung). The plot has increasingly tension. 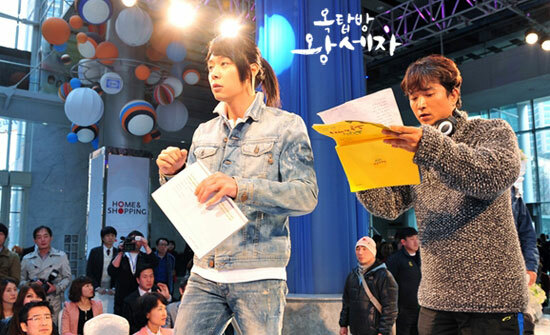 SBS’ Rooftop Prince broadcast its 3rd episode on March 28th, 2012.